TO CONTACT OWNER: Please click "ASK OWNER A QUESTION"or "SEND A MESSAGE" and we will call back as soon as possible to answer all of your questions. This web site does not allow us to publish our phone numbers which is to prevent against unsolicited calls. We will call you back immediately upon your request. Sorry, No PROM Groups...Must be over 25 to rent with 2 forms of ID. RATES: MIN. 2 NIGHTS (WEEKDAYS OR WEEKENDS) MOST HOLIDAYS HAVE 3 NIGHT MIN. FIRST (2) NIGHTS, THE WEEKEND RATE APPLIES. ONLY ADDITIONAL NIGHTS ARE $800 PER NIGHT. RATE CALCULATOR IS NOT ACCURATE FOR WEEKDAY RATES OR HOLIDAY RATES. PLEASE EMAIL FOR PRICING. We have 3 other homes, 3517344, 3932200, 3855166. 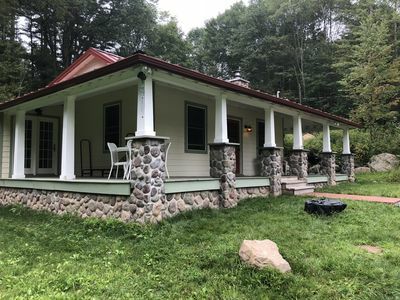 All are 6 bed-3 bath. 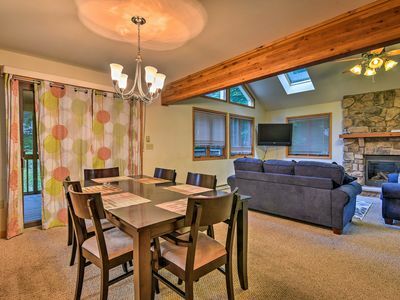 Boulderview Lodge is a brand new in 2017 and has the most spectacular unobstructed panoramic view facing due South at Big Boulder Ski Area and Boulder Lake and a short walk from Lake Harmony. 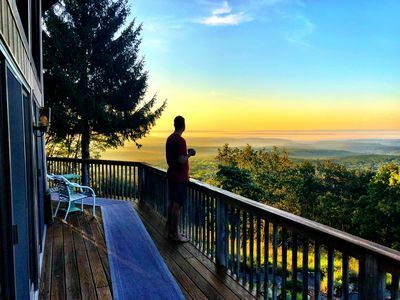 On the horizon to the East you have a view of Pocono Raceway and to the South and West nothing but natural beauty and incredible sunsets. 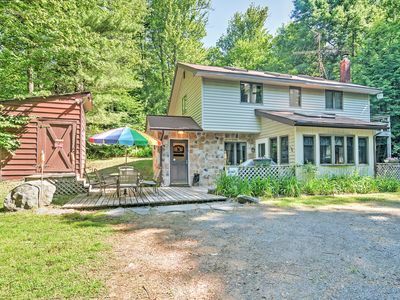 Boulderview Lodge is a cape chalet with more than 4500 square feet of interior space and more than 2000 sq ft. of patio and deck outdoor living space . 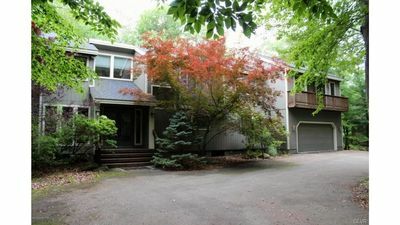 Our home has a total of 8 bedrooms, 5 bathrooms and of which includes 2 master bedrooms and a loft. 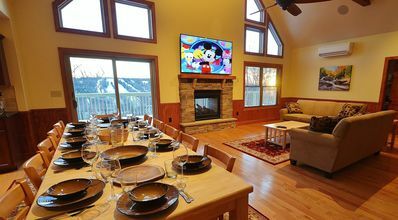 Our home was designed for spacious comfort for groups as small as a couple looking to be secluded with a tremendous view, but can also accommodate larger family groups up to 25. 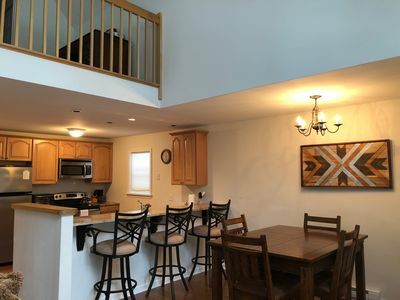 Our home has a very large expansive great room which includes a large kitchen, a cocktail bar, breakfast bar, dining area and living room area with the most spectacular panoramic view in Lake Harmony. We also have a 6 channel Wifi system with 10 high definition smart tv's in our home which consists of 32" Smart Samsungs in all of our bedrooms, 75" Smart Samsungs in our Game and Great Rooms. 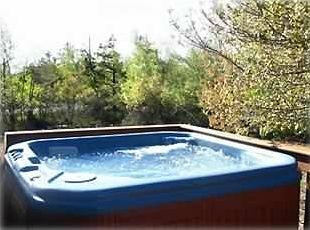 We also have a 6-8 person hot tub on our out door patio with a spectacular view of Big Boulder Ski Area. 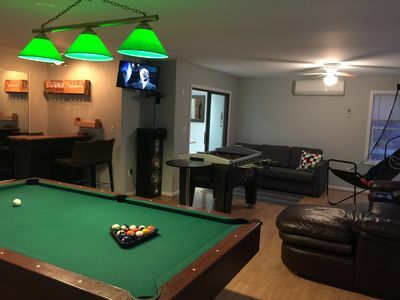 In our game room we also have a brand new "Licensed" Classic Video Game with more than 100 all time classic favorites which is free play along with an 8 ft regulation size pool table. We also have our home wired for streaming audio from Russound which includes Spotify, Pandora, and SiriusXm also capable of streaming your own audio from your cell phone, tablet or PC. 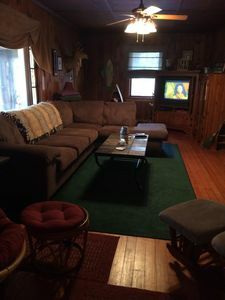 We have 4 bedrooms which are furnished with 1 queen cedar log bed, cedar log dressers and mirrors and we have 4 more bedrooms with 2 queen cedar log beds with cedar log dressers and mirrors totaling 12 queen beds in our home. 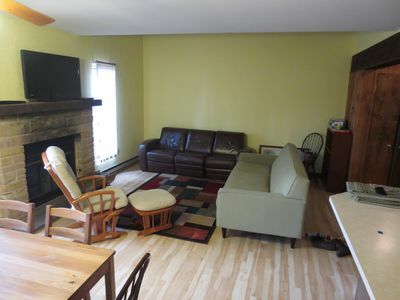 We also have a daybed with a twin mattress in the loft for overflow. All of our bedrooms have wildlife or landscape provided by our professional photographer which makes all of our bedrooms have a theme. All of our bed coverings are very high quality designer applique or quilts. 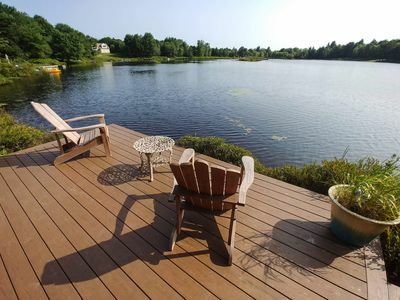 If you are looking to spend your vacation with, by far the best views and luxury, you have found the perfect home. 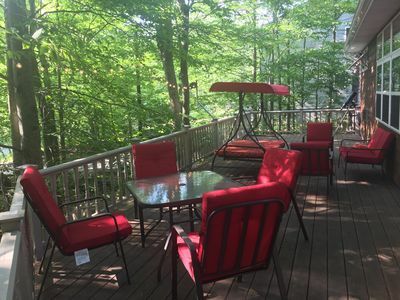 We have a total of 5 homes in Lake Harmony which our Construction Company has built and we manage without realtors or so called property managers. 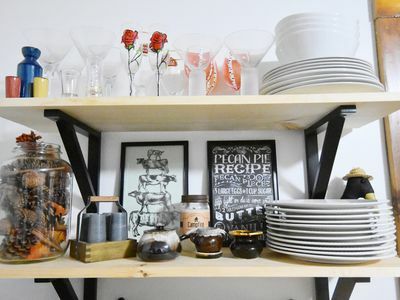 With that said, we have no booking or inspection fees and we are available 24 hours a day to assist you with any of your questions or concerns while staying in one of our homes. We primarily caterer to families, adult groups and business people, and therefore do not rent to anyone under the age of 25. All tenants must be present on our properties during their scheduled stays and we absolutely do not host high school prom parties. 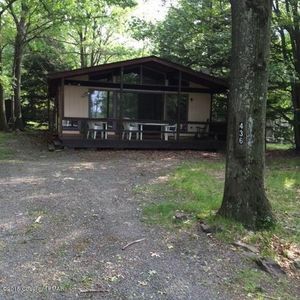 Secluded Pocono Lake Cottage w/Hot Tub & Fire Pit! 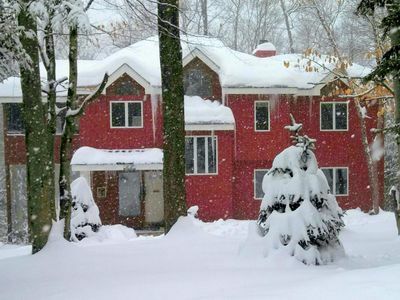 Rent for the Holidays or a Fall Retreat! Cozy Cabin in a beautiful setting! 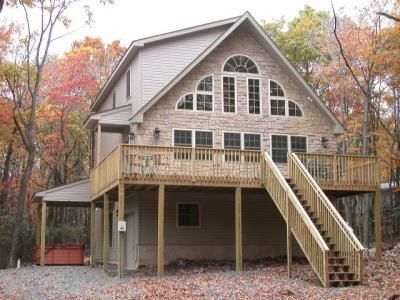 Pocono Lake Cabin w/Heated Pool Access! 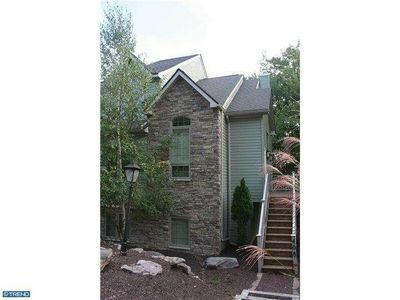 Beautiful & Clean 5 Bdrm Town House! 2 Minutes Away from Skiing at Big Boulder! 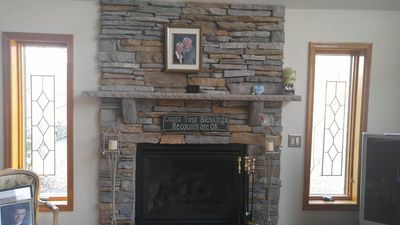 Rustic Cabin Lake Home~Ski slopes nearby ~ WIFI~ pets welcome~ GREAT REVIEWS! 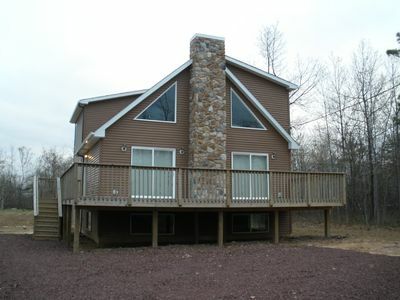 LakeFront, Beach, Hot Tub, Sauna, Game Room, 150" TV, Video Tour. 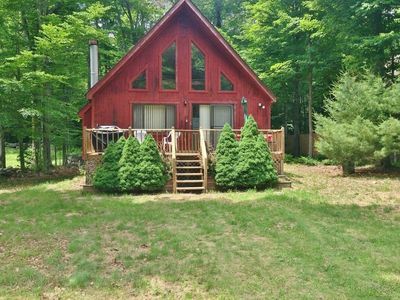 Romantic Chalet Getaway in the Heart of the Poconos!